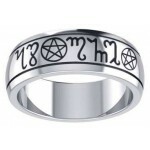 The perfect wedding or handfasting ring for your pagan wedding, this solid sterling silver band is inscribed in Theban. 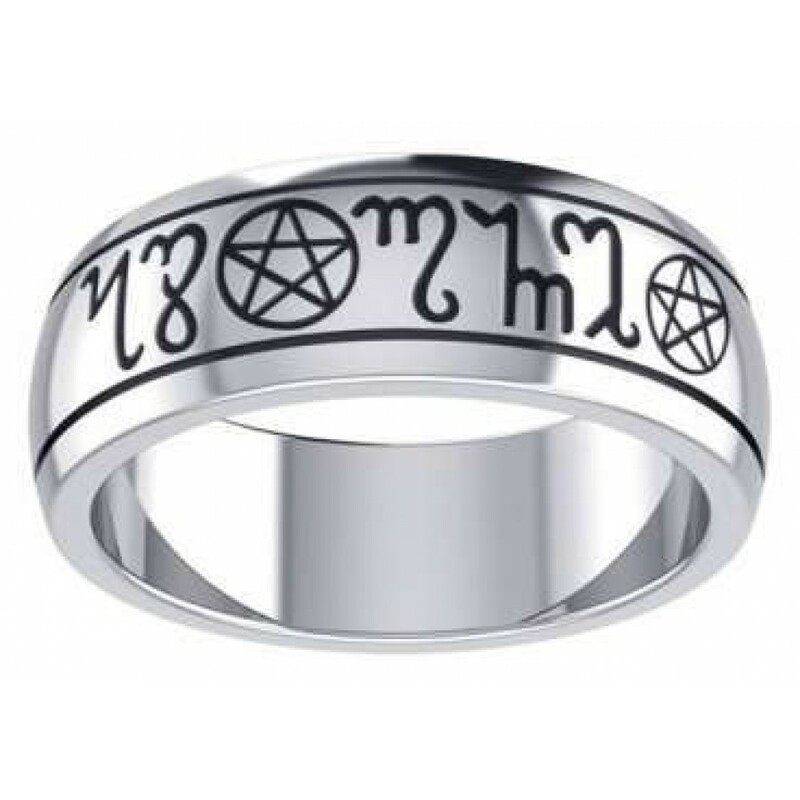 This beautiful Silver Handfasting Ring is the perfect symbol of eternal love. Handfasting is a traditional ceremony of Marriage with ties to Celtic and certain Pagan cultures. 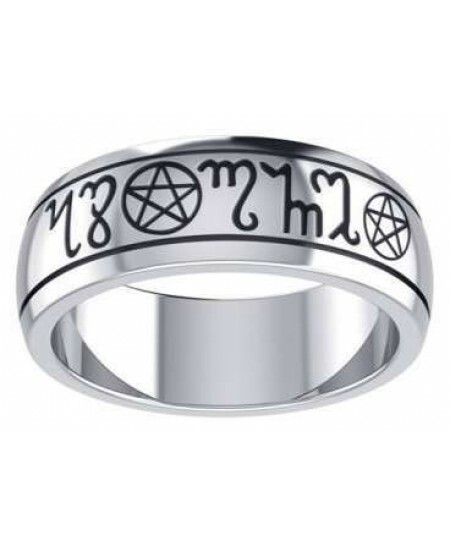 Meticulously handcrafted from fine sterling silver with the words "As One" inscribed in Theban Witches' Alphabet, representing love and commitment, this Theban Handfasting Ring features intricate details in solid sterling silver. Item Number: PS-TRI057 | Approximate Size (Inches): 0.50 wide x 0.01 deep x 0.50 high | Approximate Shipping Weight: 0.25 lbs.